Ipsos has acquired US-based social media intelligence and listening platform Synthesio for more than $50m in cash. Founded in 2006, Synthesio has offices in New York, Paris, London, Singapore and Brussels and employs 130 people worldwide, including a large team of engineers and data scientists. The company provides clients with social media listening solutions and audience insights measuring the impact of social and mainstream media conversations, and is backed by its historical shareholders Entrepreneur Venture, Idinvest Partners and Bpifrance. Last year, it acquired Social Karma, which had developed a suite of social media analytics modules, and a solution called Profiler, which analyses how individuals interact on Facebook. Ipsos says the Synthesio deal will further reinforce its own social media intelligence capabilities. In addition to product innovation, Synthesio plans to grow its international presence and services beyond its existing five offices, while continuing to operate as a standalone business unit at Ipsos, maintaining both its name and brand. 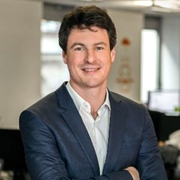 Loic Moisand (pictured), CEO and co-founder of Synthesio, and his leadership team, will continue to oversee the running of the company. Moisand comments: 'Our focus on innovative technology, including artificial intelligence, to detect consumer insights from billions of online conversations coupled with Ipsos' decades of market research and consulting experience, will give our joint customers a single path for building and advancing their social intelligence programs. This acquisition will lead both sets of customers to more actionable and real-time social media insights, fused with AI and give them a stronger competitive advantage in the market'. Web sites: www.ipsos.com and www.synthesio.com .